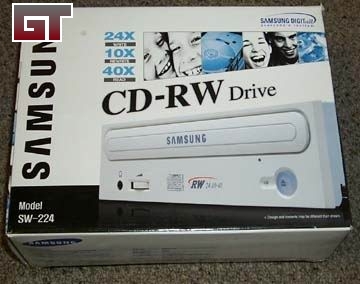 A few months ago we took a look at the Samsung 16X10X32 CDRW drive. Since then they have released a new line of burners that support higher burn speeds. 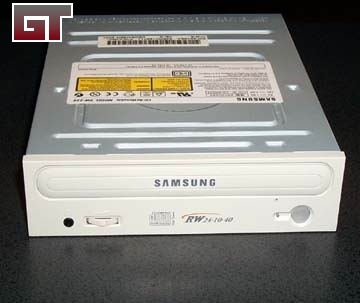 Today we will be looking at Samsung SW-224B 24X10X40 burner, which is nicely priced around $80. The SW-224B incorporates super link technology to prevent buffer under-runs from occurring. Super link is Samsungs newest version of their Just-Link technology which is like Plextor/Liteon's "burn proof" technology. What Super link does is monitor the buffer and when it is empty it stops the burn process until the buffer is full. It then continues the burning process where it left off. This prevents you from burning a coaster, and is pretty much standard on today's drives. In order to burn at higher speeds Samsung choose to implement Zone CLV technology. 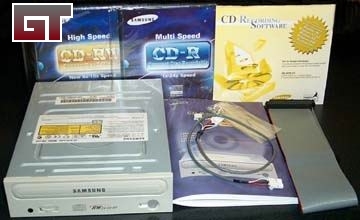 What this does is divide the CD in 3 Zones. 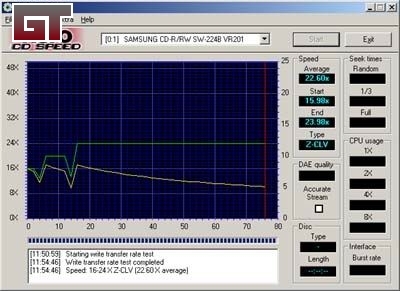 The First zone is burned at 16x, then the drive speeds up to 20x to burn the second zone, and finally speeds up to 24x until the end of the CD. On the SW-224B the first zone ends at 2 min. from the lead in area, and the second zone ends at 12 min. During the zone transitions super-link is used to prevent you from making a coaster. The SW-224B looks the same as the SW-216 that we reviewed earlier. It has a single LED that lights up the rather large eject button. There is also a head phone jack and volume control located on the front of the drive. 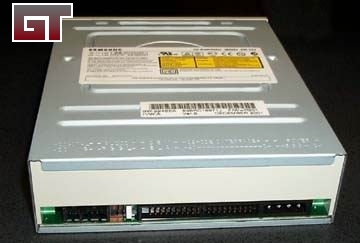 On the back of the drive it has a digital audio header, an analog audio header, jumpers, IDE port, and a 4 pin molex power connector. It is all labeled on the top of the metal housing so you know what is what.